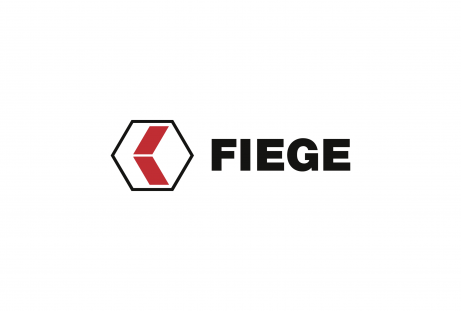 History | FIEGE Logistik - The FIEGE Group from 1873 until today. FIEGE has evolved from a small transport and forwarding company to one of Europe’s largest logistics provider of our days. Take a look at the most important milestones of our successful path. Joan Joseph Fiege founded a carriage trade in Greven/Westphalia (Germany) in 1873, the transport activities for which were carried out with a horse-drawn cart. The transportation was a genuine sideline for the farmer, who mainly took coal to his customers or ran other errands. Commissions by Greven-based retailers as well as aspiring industrial firms were added at a later point in time. His sons, Josef and Bernhard, initially jointly took over the business of the father. Later, in 1908, they went separate ways in terms of business. Bernhard continued to manage the father's business until it was dissolved in 1930, whereas Josef Fiege opened his own forwarding business and simultaneously a public house. The forwarding focused mainly on the transport of groceries between Greven and Münster, as well as the delivery of coal between Ibbenbüren and Greven. During the first World War the public house was the main source of income. Only after the end of the War did the continued rise of the carriage trade begin. With the purchase of the first commercial truck in 1924, a new era commenced for the company. Josef Fiege jun., the father of today's owners, asserted his decision for what at the time was a revolutionary purchase, against the initial scepticism of his father, thus ringing in the second decisive development stage for the company. The use of the truck led to an increase in the loading capacity for the individual transports and the resulting greater radius of operations seemed for those days almost unlimited. In 1928, the company was awarded its first long-distance transport contracts. The emerging locational issues meant that an expansion of the business at the original family property in Greven-Wentrup was inevitable. Around four years later, Josef Fiege jun. directly took control of the long-distance transport business, which was thus detached from the forwarding business. At the same time, the repair workshop including accessories and warehouse was passed to the son. Following the death of the father in May of 1938, Josef Fiege jun. took over the entire business as the sole proprietor. Since long-distance road haulage, compared to forwarding, was more profitable, moving the focus to long-distance haulage brought with it distinctive economic advantages. By 1939, the fleet of trucks had grown to 18 vehicles with trailers. During the harsh years of the War, it was no easy task for the owner Josef Fiege jun. to keep the business going. As of August 1939 the transport business was assigned to the "Fahrbereitschaft Münster-Land“, the regional motor pool. The supply of railway stations and other "strategic and vital"operations were the priorities. Except for six vehicles, all trucks were "requisitioned". The remaining commercial trucks were used during this period of time exclusively for the transport of foodstuff and fuel in the vicinity of Greven. Agriculture and the continued operation of the public house now sustained the livelihood of the family. The difficult years of World War II demanded major entrepreneurial skills to guide the company safely through the confusion and particular demands of the times. Josef Fiege jun. could not prevent the forwarding business from having to carry out "strategic"assignments, including also the relocation of Wehrmacht commands. The company was awarded many transport missions, for example during the relocation of the Münster University Clinics to Bad Oeynhausen and Bad Salzuflen. But even the end of the War gave rise to difficulties for the company: The company's grounds were seized for several months by British occupational forces, as were the workshop and the office. But Josef Fiege successfully mastered all complications in the organisational and business field and rebuilt the company after the War had ended. The need for heavy-duty transport vehicles was very high at that time, accelerating the expansion of the enterprise. By the time the DM balance was submitted in 1948, the number of commercial vehicles had already grown to 41. Once again, the family property had become too small for the continued expansion of the business. In 1950, Josef Fiege purchased further land around the original family property, thus enlarging the company grounds in Greven-Wentrup to 28,000 square metres. The number of owned commercial trucks also grew constantly. The company's third phase of development starts with the establishment of the first branch offices in Haltern and Neuß in 1951. During the following year already, the Schötmar branch is opened; Letmathe-Östrich followed in 1953 and the Emsdetten branch in 1955. That very same year also marked the start of the construction of self-built vehicles. Following the sudden accidental death of Josef Fiege jun. in 1959, Karl Fischbach and his wife Änne, née Fiege assumed the management of the company. The construction of the Bremen branch, initiated by Josef Fiege jun. in 1958, was completed by Karl Fischbach. The "transport"focus of the business concept shifted under Fischbach already to forwarding. After the sons Heinz Fiege and Dr. Hugo Fiege joined the company in 1967 and 1973 respectively, the entrepreneurial concept shifted from its "transport"and secondary "forwarding"focus, to "forwarding"and "transport". In 1970 the Hamburg, Frankfurt/Main and Berlin branches were opened. With the help of these branches and the already existing Bremen branch, international transport services became available. At the same time road transports to neighbouring European countries started to evolve. The first nation-wide supply chain concept of the Fiege Group was worked out following the take-over of the 15,000 square metres-large warehouse in Hamburg (1979) for the international tyre manufacturer Bridgestone – an example of precise branded supply chain management. The company's final breakthrough and expansion followed the firm's relocation to Greven-Reckenfeld. The head office and the administration were established on a 100,000 square metres-large compound at the local business park. The hexagonal goods distribution centre is known beyond the region by now. The company concept of the Fiege brothers changed from "forwarding and transport"to "forwarding and logistics". Following the take-over of the international forwarder Klein-Wiele in Bocholt (DE), the number of employees at Fiege rose to over 1,000. Two years later, the forwarder Wilken, headquartered in Berlin and Munich, was taken over by the Fiege Group, allowing Germany's south to be better served than before. In 1988, branded logistics were followed by industrial goods logistics. FGT, Fiege Gerresheimer Transportgesellschaft, is an outstanding example of this logistical segment for Europe's largest European hollow glass manufacturer. FGT, with eleven branches and a managed warehouse area of 250,000 square metres, operated here also in pursuit of the best-possible ecological aspects. Even the fragile glass goods were delivered without packaging. After adding beverage logistics to the diverse product range of the services concepts in 1990, the Fiege Group became one of the largest distributors of wine. 16 major German wine importers are united as customers under a single roof. With Fiege EBL Getränkelogistik (European Beverage Logistics), a renewed shift of the corporate structure was once again introduced: logistics over forwarding. After the inter-German borders opened in 1991, the company's network of branches expanded by seven locations in the new federal states. From the Dresden branch, the head office of Media Logistics, 450,000 copies of a daily newspaper are distributed to the households of readers in the whole of Saxony every day – just one example of the many tasks of Media Logistics. And even furniture logistics for the new federal states were started in 1991. A further area of the services concepts refers to vehicles: FFS - Fiege Fahrzeug Service in Greven-Reckenfeld, evolved from the original repair workshop of the early years to a service branch, generating around DM 40 million in sales per annum. The construction of and trade with vehicles, the Bosch service, repair workshops and TÜV services are all elements of the FFS concept. Department store logistics for Karstadt AG are one example of a further branch of logistical services. In 1992, after a roughly ten-month construction period, integrated supply chain services were taken up at the goods services centre, the Warendienstleistungszentrum (WDZ) Ibbenbüren/Osnabrück on around 135,000 square metres of quality warehouse space. The WDZ Ibbenbüren/Osnabrück is the first privately-built and commercially-used services centre in Europe. The successful combination of economy and ecology helped to coin the word "Eco-Logistics"by Fiege. The WDZ and consequently also the entire company concept were honoured in 1992 with the Ger- man Logistics Award, extended by Bundesvereinigung Logistik e.V., Germany's logistics association. One example of an interesting industry solution is the performance of supply chain services for Apollinaris & Schweppes, for which a new Fiege branch was established at the production site in Bad Neuenahr/Ahrweiler, whose two regional warehouses systemize the transports throughout the whole of Germany, partly moving them from land roads to rail roads. Over the past years, the Fiege Group has become highly involved in the idea of environmental protection. The stance of the two owners of the company led to the broad implementation of this philosophy, which aims at protecting the environment and resources for all existing and new projects. The Josef Fiege Foundation, formed in 1998, bears the name of the deceased father of the founders Heinz Fiege und Dr. Hugo Fiege. To preserve his memory, the foundation allocates donations to facilities and projects which are committed to the well-being of man and nature. The Josef Fiege Foundation is an independent private law foundation. The purpose of the Foundation is to develop appropriate recommendations, especially – but not exclusively – for the affiliated companies of the Fiege Group in regard to the sustained allocation of donations for ecological, social or medical purposes. The Foundation determines the need for donations and checks applications requesting contributions that have been submitted to the Foundation, in order to pronounce recommendations to individuals and companies willing to provide funding. A further purpose of the Foundation is the organisation of events with an ecological and social orientation. Projects and facilities with a clear reference to the home region of the founders have been and are supported in particular. Uniting the future and the past in a single building was achieved superbly following the construction of the new system head office at Münster-Osnabrück airport. On September 13, 1999 the roughly 150 employees of Fiege's System Headquarters moved into the building. "The new home stands for the beginning of a new era, for success and internationality of our company, it is a commitment towards the region and a commitment towards the future", is how Dr. Fiege expressed his hopes that here, at the new location and in the immediate vicinity to FMO airport, the head office of the Fiege Group had found its perfect seat. After all, this is where the company's future and past are harmoniously united in a building, an important aspect for the tradition-minded owners of the Fiege Group. While numerous forwarding and logistics companies are preparing a move to the Far East, the Fiege Group completed theirs long ago: In 2005, the management in Shanghai was able to accept the certificate which permits Fiege to carry out all forwarding activities in Asia under its own name. Also, Fiege established a further mainstay for the company in Asia with Far East Holding Ltd. based in Hong Kong. The Alicence crowned the many years of tried and tested work of the company in China, as before this, all transport activities required the assistance of an external license holder. Now, Fiege can independently operate under its own name. Heinz and Hugo Fiege are honoured as Entrepreneurs of the Year 2007. The award, called to life by the logistics journal DVZ Deutsche Logistik-Zeitung, pays tribute to entrepreneurs who, as a leading figure in the transport and logistics business have the courage to expand and to enter new markets, while being aware of their responsibility as an employer, as well as the need to protect the environment and the climate. The Chancellor of the Federal Republic of Germany, Dr. Angela Merkel, pays a visit to the Fiege System Headquarters in Greven. During her summer tour of selected medium-sized enterprises all over Germany, she spoke with employees of the company and praised the outstanding supply chain solutions which made Fiege a pioneer of contract logistics. "Today's visit by our Chancellor is both a pleasure and an honour for us", emphasised Heinz Fiege and Dr. Hugo Fiege during the reception held for the high-profile political guest. The visit equally demonstrates the raised standing of logistics for the economy, acknowledged by today's politics. As a project with a major signal effect for the industry is how Dr. Hugo Fiege described the construction of a new logistics centre which Fiege built and will operate in the traditional textile stronghold of Mönchengladbach for its customer Esprit, one of the leading international lifestyle brands. For the official laying of the foundation stone of the new Esprit DC Europe (Distribution Center Europe) on April 30, 2010, the guest list included numerous politicians and business people from North Rhine Westphalia in addition to the minister for economic affairs, Christa Thoben, whose visit was seen as a clear indicator for the high standing of logistics in the Land of NRW, which is also recognised by the NRW government and reflected through the optimal support and development that it ensures. With a total investment volume of over Euro 60 million, the "Regiopark"industrial estate, which boasts excellent connections with all modes of transport, including road, railway and air, a facility is being built that offers three warehouse segments whose first expansion stage includes an expansion option by an additional 60,000 square metres. The elaborate information technology and interior equipment alone of the new facility for storage, order picking, packaging and shipping Esprit products consume around Euro 30 million.